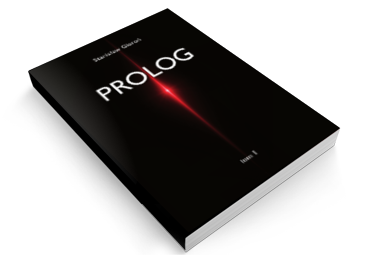 PROLOG depicts evolution of the primeval energy through billions of years, from intensive radiation to a form of human mind. In addition, the author presents the history of the ideas through which people endeavoured to explain the Universe over the last several thousand years. PROLOG originates from natural, irresistible human urge to sense and understand the Universe. The author's voice comes from the crowd, to whom acknowledged scientists, moral authorities, respectable religious leaders and politicians insistently convey their messages, in the form of popular science, official dogmas, doctrines of faith and political programmes. It's this disobedient voice which dares to shout out: "It does not go together!" And while getting no satisfactory answer, he examines himself popular scientific models of the Universe and old human cosmogonic ideas to find the clue. To avoid the fate of many extinct species, man should climb up to the heights of his grasp of the Universe. That's why, it is necessary to establish a new global community of human minds, which will be able to create social intellect. All societies controlled by emotions of their leaders have failed in the course of mankind history. If we are able to understand this lesson, it's about time to constitute a community which will push emotions aside. It's high time for Global Ratio, social intellect able to analyse faults of our ancestors and our own mistakes. It's about time for reasonable conclusions. UNISTART is a startup of Global Ratio, broad social intellect. The matter, "neurons" of the social mind, will be constituted by the willing individual minds sensing necessity to cooperate with others to clarify knowledge and experience of the mankind. Not all will join UNISTART, but around the Globe there are plenty of us for whom understanding is the main reason of existence. Join us. We've started to create UNIted STAte of RaTio – the global intellect platform. 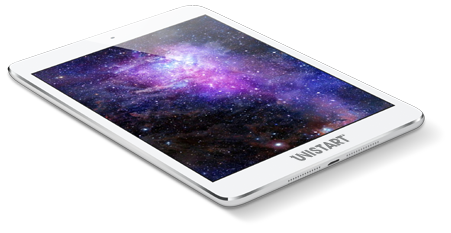 The mission of the UNISTART Foundation is to develop the Internet platform of the social mind to evolve global human intellect. Besides creating legal framework and institutional structure of the social mind actvity, the first step will be to develop tools for easy communication of the UNISTART participants, with the mechanisms of direct democracy and applications for context selection and aggregation of the Internet content. The goal of the UNISTART Foundation for 2017/18 is to collect necessary funds to start operations. unistart.net is a primary step for the social mind. The backbone of the UNIted STate of RaTio is PROLOG which presents a unique model of the Universe. Join UNISTART and improve capacity of the social ratio.